An exploration of sculptural form is at the core of the jewelry objects Talya Baharal and Gene Gnida create. 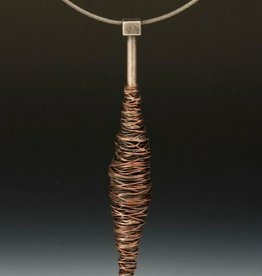 Their work is hand-formed and constructed of sterling silver, bronze, copper and steel, achieving a formidable visual scale yet very light and wearable. Abstracting bold contemporary form while drawing inspiration from iconic themes is at the heart of the their work. As a married couple the process of working together produces an ever-changing and evolving body of work. 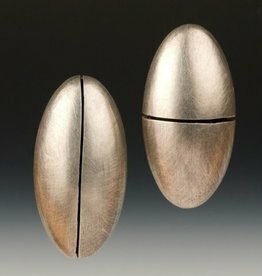 Their separate backgrounds in sculpture – Gene’s training and extensive work in furniture design and ceramics, and Talya’s background in metal and jewelry design – has led to this exciting confluence of ideas, materials and techniques.